With the new year beginning many of us make great plans to give our homes a really good spring cleaning and a new order. The hard part is keeping it that way once you have it organised the way you like it. The key to this is plenty of storage space and units. Storing away all of your belongings into an overcrowded drawer or press will only create more mess in the long run as you will have to pull everything out to find that one thing you are looking for. Choosing which storage units to furnish your home with is always much easier when you plan in advance and take your particular needs into account. Open storage presses, bookcases and dressers can also look amazing when filled with a nice combination of items so they can work as a display feature as well as storage. At the moment we are offering 20% off all furniture in stock. This 20% off is a further discount to the already reduced prices so it's a great time to start planning your newly organised home! We have a number of really beautiful dressers, bookcases, cabinets, chests of drawers and much more available to view in our showrooms. 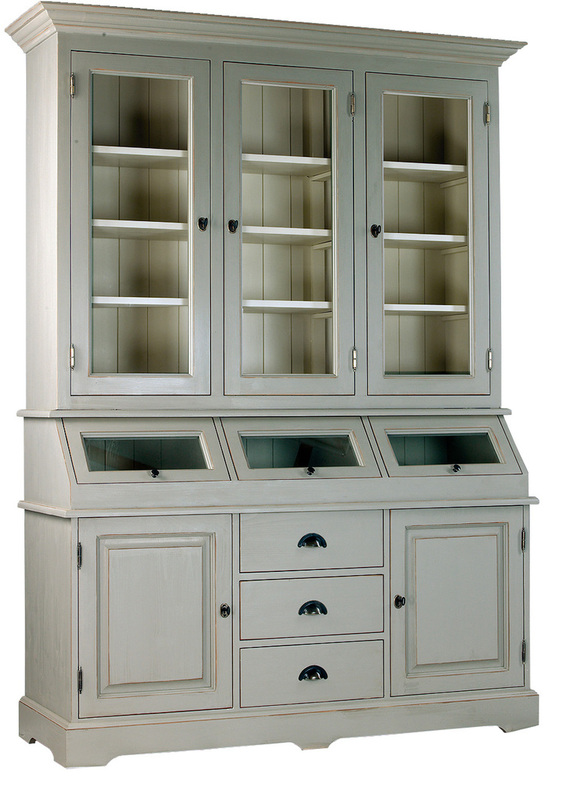 Our furniture ranges from pine to oak and accacia wood in delicate painted finishes, waxes and lacquers. The sale continues while stocks last, to view our furniture you can visit our showrooms at The Shopping Courtyard, Mount Usher Gardens, Ashford, Co. Wicklow. Follow us on Pinterest for more inspiration and image sourcing! When choosing items to fill an open bookcase or dresser pick a variety of shapes, sizes, colours and textures. If you want to complement the colours of your room you could add certain pieces that pick out elements of the tones and shades already present.